Goodness, much has changed since the last time I posted. Over the past 11 months we have had many big life changes. First we moved my mother out of her condo into an apartment. We then moved into that empty condo. That was no easy feat, after living in our home for 38 years. But this new living space is perfect for us. It is lovely and spacious without being too much. I have a sunny studio, and a basement for the messier projects and the inevitable storage we need. And Jeff is happy because his shop is a mile away, the snow is shoveled, and the grass is cut. I do miss my garden, but I will find a way to enjoy flora and fauna, and utilize my green thumb. I am surrounded by trees and wildlife here, and find myself walking much more than I ever did at our house. The other big change is that I have officially retired! I am just getting used to this decision and it doesn’t feel real quite yet. This blob has long been a favorite place, and it feels right to return! 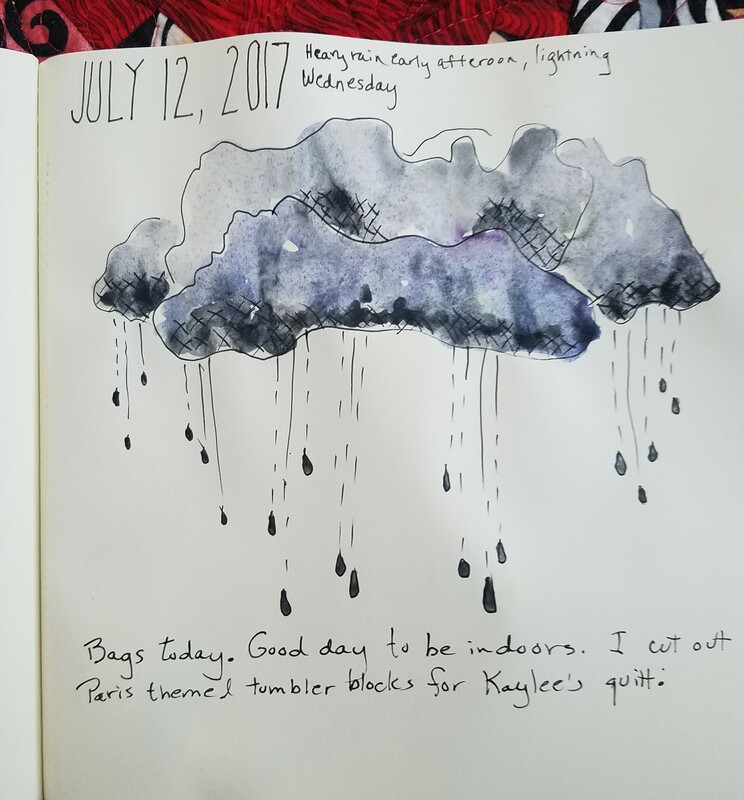 It was such a calm, colorful, perfect August evening. I was snapping photos like crazy while the guys were fishing off the pier. The painting may not be perfect, but it is brings back the flood of memories much better than my photos. Does any of my family recognize the fisherman? Love this place….I’ve walked the beach, rode a bike, sat with my feet in the pool, hung outdoors all day. If this is retirement is like, yes please. I feel like a kid who can do whatever she wants…..so I painted. These are quick and small paintings. Love doing them. Nothing specifically happened today. But doesn’t the hurt in this world just get to you sometimes? 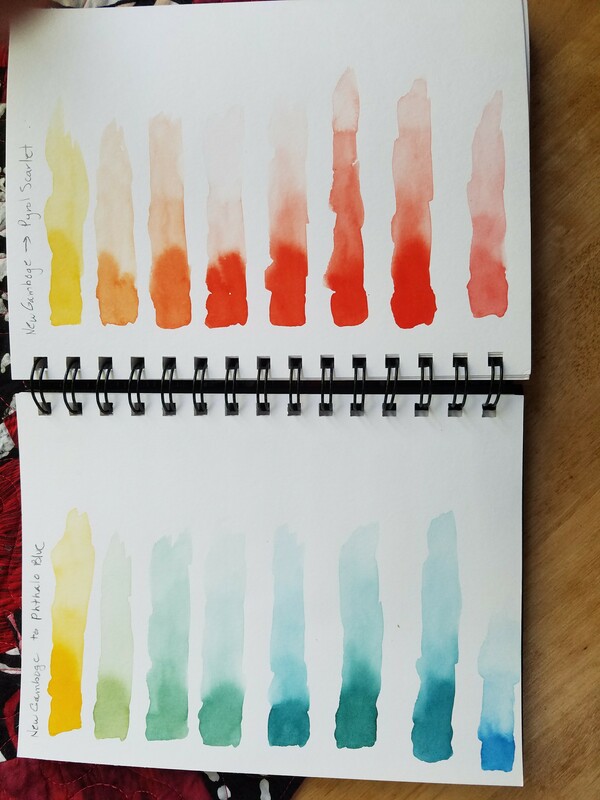 The magic of color mixing! I’m taking a class at the BBAC, Birmingham Bloomfield Art Center, on botanical watercolor. 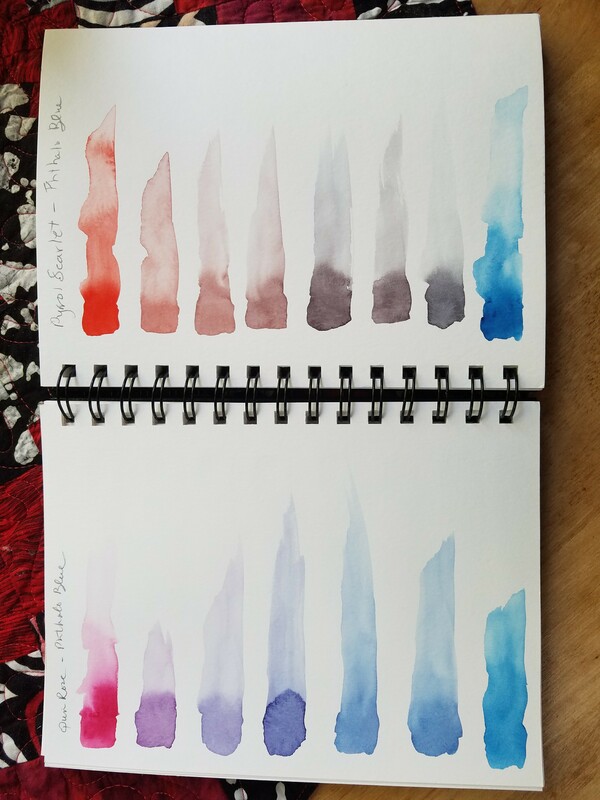 The instructor asked us to use just 6 colors, the Daniel Smith Essentials set. If I get nothing else from this class than learn about color, I’ll be happy. I took our homework assignment seriously and made page after page of color mixing charts. 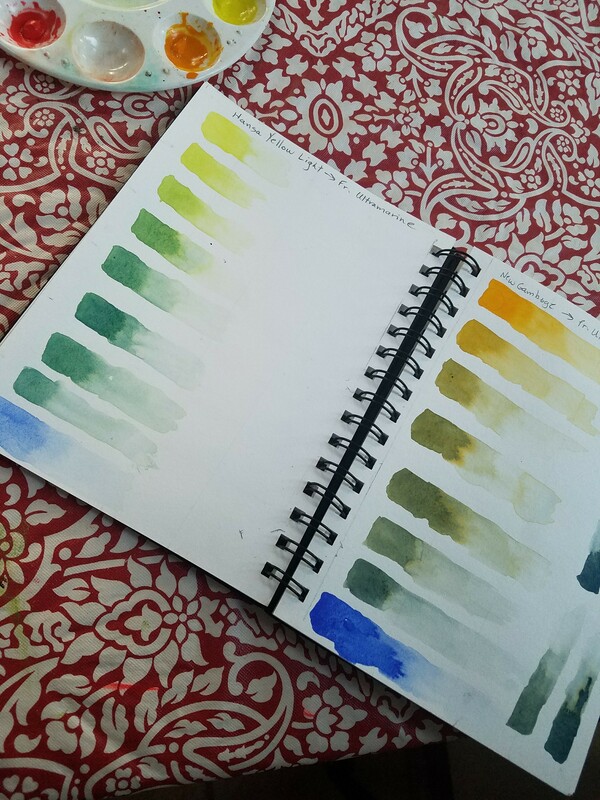 Each page used two colors, starting with a puddle of the lightest color and adding in the darker color drop by drop. I’m amazed how the color shifts with each drop. I have seen so many charts that just give one space to each color blend. That just isn’t enough….after seeing the range of colors on each page! 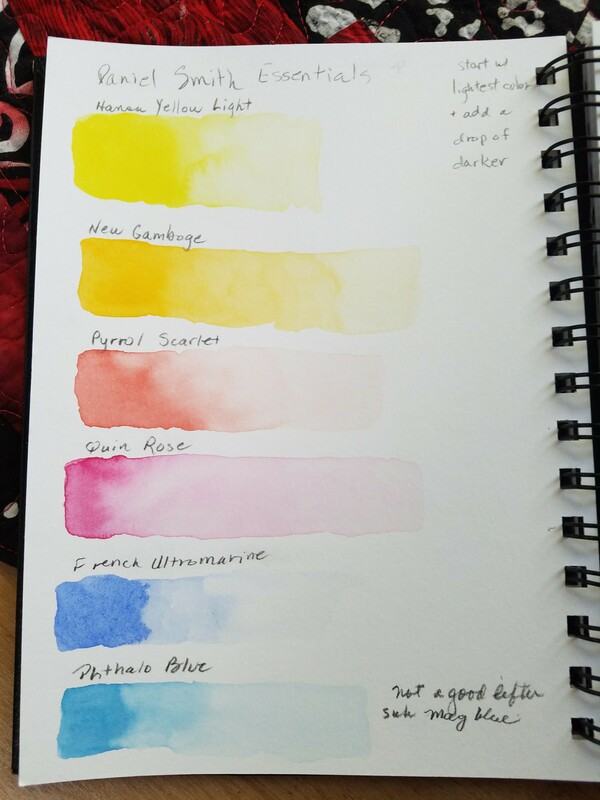 Now, if I ever want to closely match a color, I can start with my color notebook. 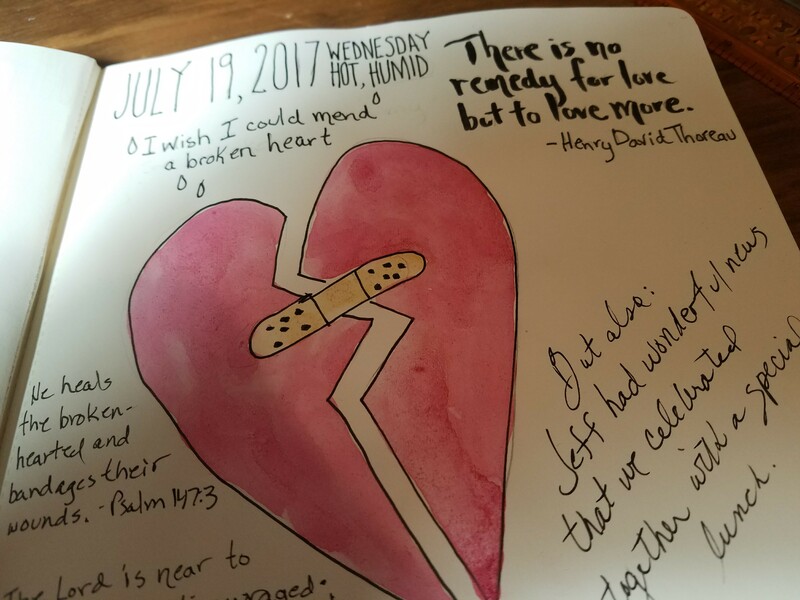 I started a new journal this week, and tomorrow I am ditching it. The paper is just too thin for watercolor. I will be back to the smaller, spiral bound book next week. What a mashup of journals and styles I’ve had this year. 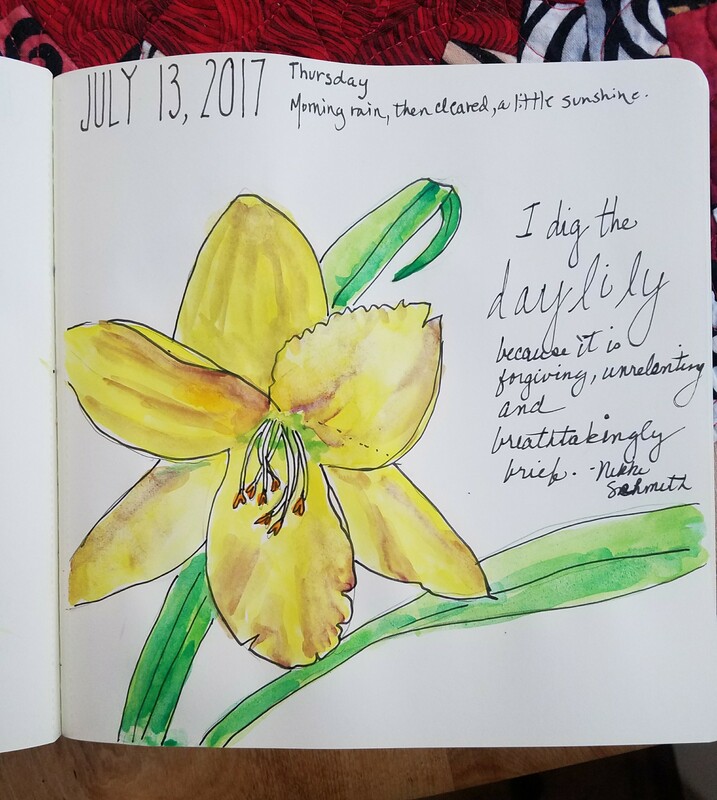 I started the year with daily pages, then switched to monthly spread with tiny daily entries. Now back to daily. I like the habit of drawing something daily. 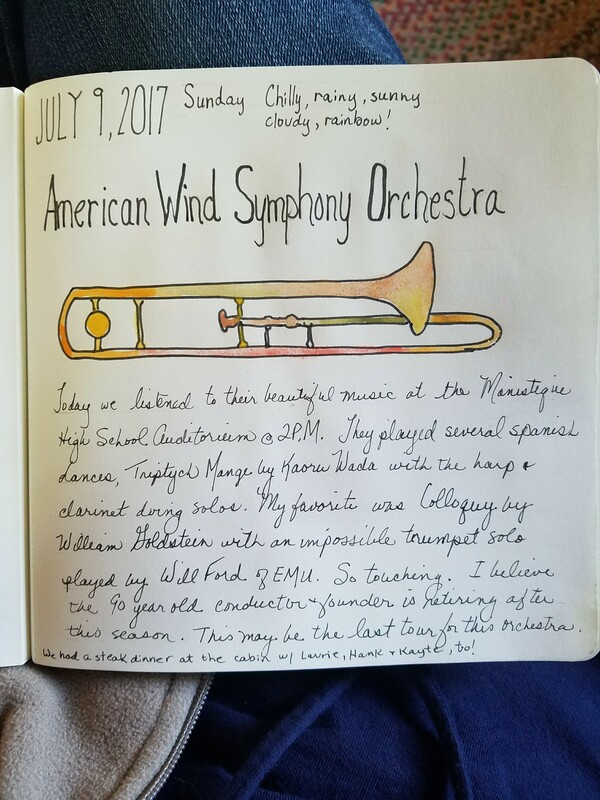 Here are my favorite pages of the week….